Time waits for no one, and as this little darling celebrates 12 happy years, her puppy is ready for his lunch, promptly at noon! 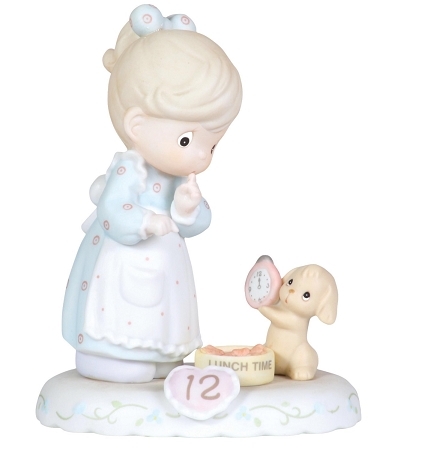 This charming porcelain figurine in the Growing In Grace series is a humorous way to honor her final pre-teen year. Look for other figurines in the series, available in both blonde and brunette styles, to recognize all her birthdays through age 16.